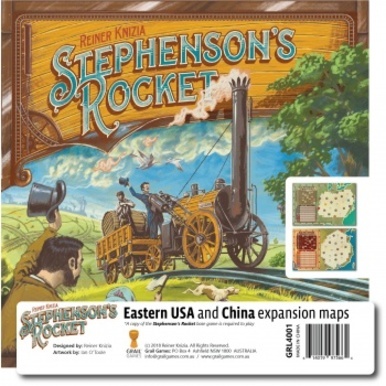 This is an expansion for the Stephenson’s Rocket board game, also available from Grail Games. 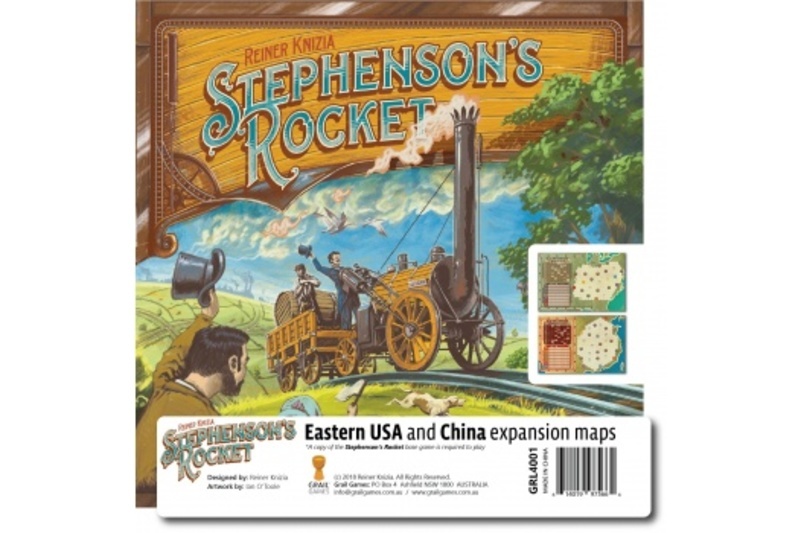 In Stephenson’s Rocket: Eastern USA & China, players can expand their Stephenson’s Rocket base game, by choosing one of two new maps to play on. Each map provides new experiences and adds variety to the game, without changing any of the core rules. Achtung! Zum Spielen wird das Grundspiel benötigt!